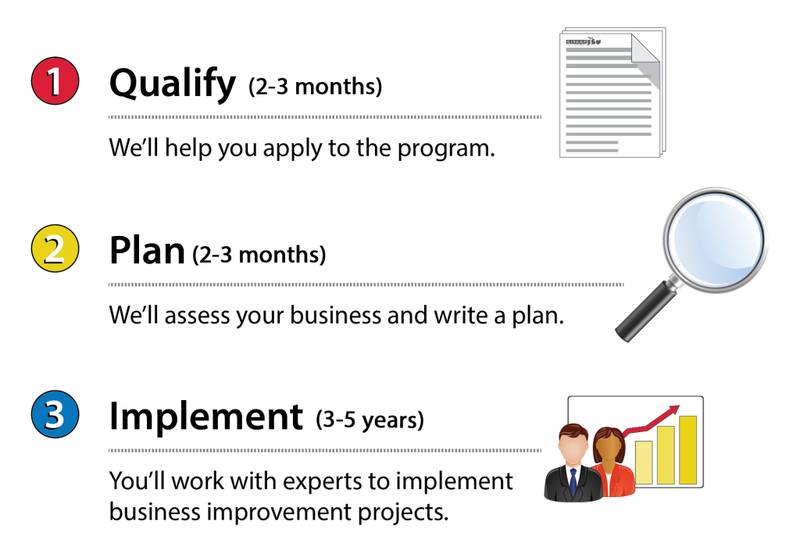 GLTAAC engagements entail three phases: qualify and apply to the TAAF program, assessment of the business, and implementation of business improvement projects. Through this process, companies qualify for up to $75,000 of assistance to support implementation projects. Qualify: GLTAAC works with a firm to make sure they qualify for the TAAF program. Read more about qualifying here. GLTAAC will compile the actual application (called a Petition) from information provided by the firm. Plan: Once approved for the program, a GLTAAC Project Manager works directly with the company to assess the business and develop a recovery plan (called an Adjustment Plan). The plan summarizes the company’s strengths and weaknesses. It then identifies and defines specific projects to improve competitiveness. Read more about the planning process or see a brief example of an Adjustment Plan here. Implement: With its plan in place, the firm implements its projects with GLTAAC assisting with half the cost of projects. Companies have up to five years to complete the program. However, program support can sometimes be used at a faster pace of three years. More about projects is available here. Phase 2: The Planning & Assessment Process – 75% of the costs in this phase are covered by the Economic Development Administration. Typically, firms pay $1,000 – $4,000 to complete the business assessment phase. Phase 3: Implementation – Companies cover 50% of the cost to implement projects. 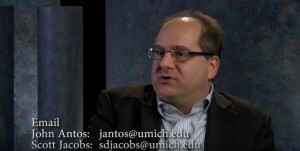 GLTAAC Director, Scott Jacobs, discusses TAAF on Michigan Radio’s “Stateside/Next Idea” program. Listen to this short (11 minute) interview by going directly to the recording or to the link on the interview’s web page. Click to watch GLTAAC Director, Scott Jacobs, discuss the TAAF process (15 minutes) in an interview produced by the City of Farmington Hills, MI, Economic Development Corporation.